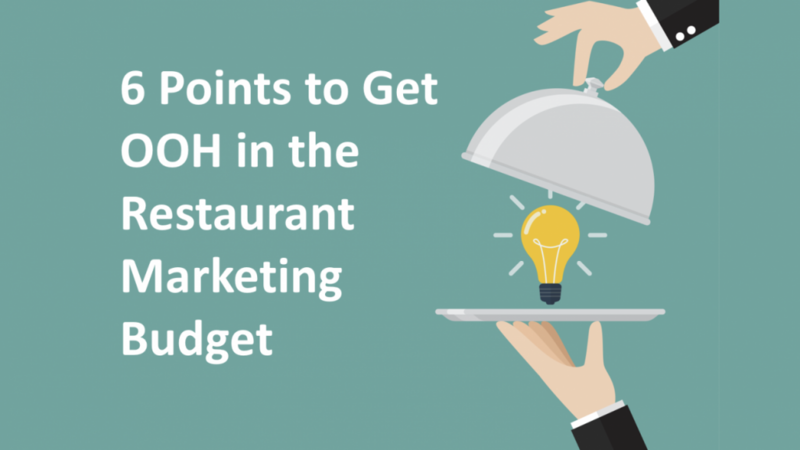 6 Points to Get OOH in the Restaurant Marketing Budget - Abraxas Technology, Inc. 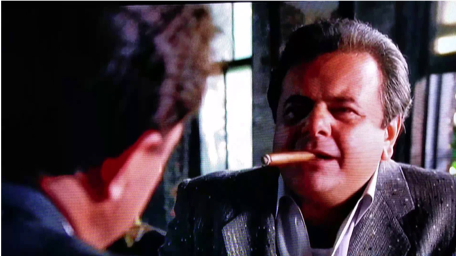 If you feel like Paulie from Goodfellas when selling into the restaurant industry, don’t worry, you’re not alone. While national food chains spend big on OOH media, OOH owners are missing significant restaurant opportunities in their own backyards, because 7 in 10 restaurants are single unit operations. These owners don’t own multiple stores, so they are often overlooked by OOH owners while at the same time single unit operations do not believe that they have the budget to do an effective OOH campaign. Restaurants are not foreigners to marketing their restaurants. Currently, 40% of their marketing budget goes to digital marketing. While this presents a hurdle to OOH owners for capturing a greater share of a restaurant’s marketing mix, it is important to note that restaurants are either increasing or maintaining their marketing budgets by 84%. Depending on the restaurant’s goals for their business, their marketing budget roughly breaks down into the following percentages below. Even though this marketing budget may not be enough in many regions of the United States to do long term OOH marketing, it is enough to do effective OOH marketing, because of the combination of how restaurant customers interact with OOH media and the seasonality of the restaurant industry. Seasonality of restaurants varies based on location and main business drivers. For instance, New York City sees a reduction in restaurant traffic during the summer because New Yorkers spend an increased amount of time outside of the city, while in Williamsburg, Virginia increased traffic is seen during the summer season due to an influx of consumers due to the tourist season. This seasonality combined with the fact that 26% of people have immediately visited a restaurant specifically because they saw a billboard or other out-of-home advertisement is a powerful way to shape an OOH campaign around a restaurant’s budget to create the highest return on investment for the restaurant. 8 in 10 restaurant owners started out at entry level positions. 52% of polled Americans stated that it was easier to do their taxes than figuring out how to eat healthy. Adding out of home billboard advertising into the ad campaign on average increases the reach of TV by 18%, Radio by 45%, Mobile by 316%, and Social Media by 212%. At the end of the day, what is going to seriously add to a restaurant’s OOH spend and convince other restaurant owners if they want to have a campaign with you, is your ability to prove to them that advertising on your billboards leads to conversions of customers into their restaurants. If you want to learn how to offer your restaurant prospects and clients this capability, head on over to Abraxas Technology. Want to learn how Abraxas Technology can help you sell your OOH media into restaurants? Email info@abraxastechnology.com.